This time round, I steamed the smooth tofu, let it cool first and added chilled can lychee syrup and fruits. Steam Smooth Tofu for 10-15 minutes. Drain excessive water emerged from the tofu. Leave the tofu to cool. Scoop few slices gently and fill into individual serving bowl. 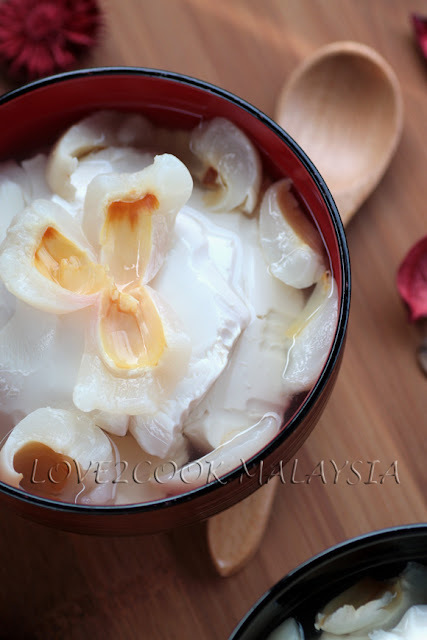 Add chilled lychee fruits and sugar syrup. Done! Simple yet delicious rite... And those pics look sharp too. nice and sweet and good to take during hot season. Your Ashika is cubby and cute ,Rishie very handsome boy. I am so definitely going to try this! I Love tofu fa!I may even add in some peaches too! Thanks for sharing! Wow!! it looks so inviting.. nice presentation as well..
hmmm... pretty easy... looks so mouth watering... never thinking this before.. u r so creative la love..
Lovely presentation, good ideal to use soft tofu for dessert. 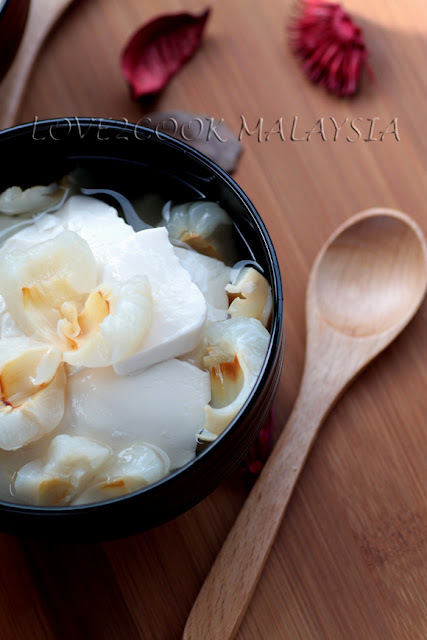 Good idea to add lychees to tau fu fah! ever since I tried this for the first time, trus dah ter-suka plak...resepi also from you before..so easy peasy :) and nice too! So simple and delicious recipe.. looks gr8 !! Omg, fabulous tofu fa, am loving it..
brilliant idea! look so cooooool...and nice, give me one bowl right now, YUM! Love the fruit and tofu combo, refreshing treat! You know Love litchi is my fav fruit ...yes yes more than mango i love this fruit. 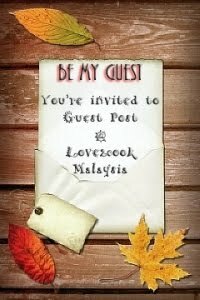 Your pic is looking so inviting !! Drooling dear! Love this. New to me but a must try hence bookmarked. ku lihat segaarrrr...sedap dimakan sejuk2.. love ur pic!! Pass me a bowl please! Looks yummy and refreshing! lOVE,wow yummy n look delicious..
Wow, I am in love with the pics..it really is AWESOME..never tried tofu and lychee combo before..sounds interesting and unique but it looks incredibly delicious!! Thanks for sharing the recipe! !